As a team, our mission is to ensure the informed future of Indigenous Nations by empowering the leadership and solutions of Native women through culturally relevant research and outreach programming. Check below for brief bios on the founders of the project and stay tuned for updates on our growing team of warrior women. Dr. Castle brings almost 20 years of experience as a scholar, activist, and media maker working in collaboration with Native Nations and underrepresented communities. The film, Warrior Women, is based on research done by her for her book Women were the Backbone, Men were the Jawbone: Native Women’s Activism in the Red Power Movement and is Castle’s directorial debut. Dr. Castle received her Ph.D. and Masters of Philosophy in History from Cambridge University and her B.A. in Race, Gender and Electronic Media from George Washington University. While completing her Ph.D. at Cambridge University, she worked as a policy associate for President Clinton’s Initiative on Race and in 2001 she served as a delegate for the Indigenous World Association at the United Nations World Conference Against Racism in Durban, South Africa. While working as an academic specialist for UC Berkeley’s Oral History Office, she received the University of California President’s Postdoctoral Fellowship at UC Santa Cruz under the supervision of Professors Angela Davis and Bettina Aptheker. 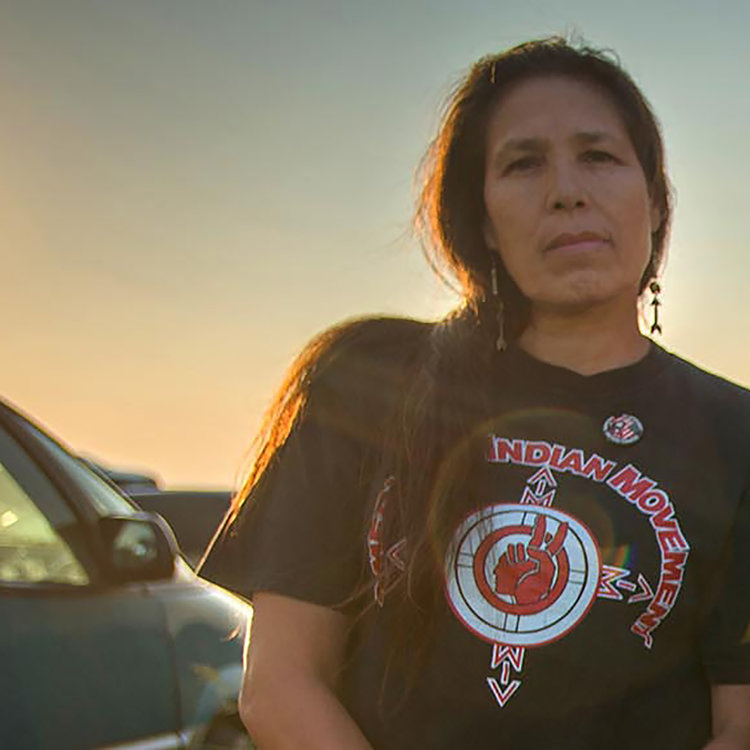 Marcella Gilbert is the daughter of Madonna Thunder Hawk and a Lakota and Dakota community organizer with a focus on food sovereignty and cultural revitalization. She earned a Master’s Degree in Nutrition and currently works as a Community Development Field Specialist for South Dakota State University Extension on Cheyenne River reservation. Before moving home to the Cheyenne River reservation, she was the director of Common Grounds Garden for Little Priest Tribal College where she served as the Primary Prevention Coordinator of Whirling Thunder Wellness Program for the Winnebago Tribe of Nebraska. Gilbert was a 2014 Cohort of the Bush Foundation's Native Nations Rebuilders Program. Her formative years were influenced by the activism of her extended family’s leadership in the American Indian Movement. She was a seventeen-year old delegate to the newly established International Indian Treaty Council to Geneva in 1977 and a graduate of the We Will Remember Survival Group. This alternative school run by and for Native people, was a remarkable tool for decolonizing and healing the intergenerational damage caused by boarding school. Her goal is to reintroduce sustainable traditional foods and organic farming to her reservation as an expression of the most fundamental form of survival and empowerment. Her current work is the launching of the pilot project of her own survival school Waniyetu Iyawapi (Winter Count) Mobile learning experience. 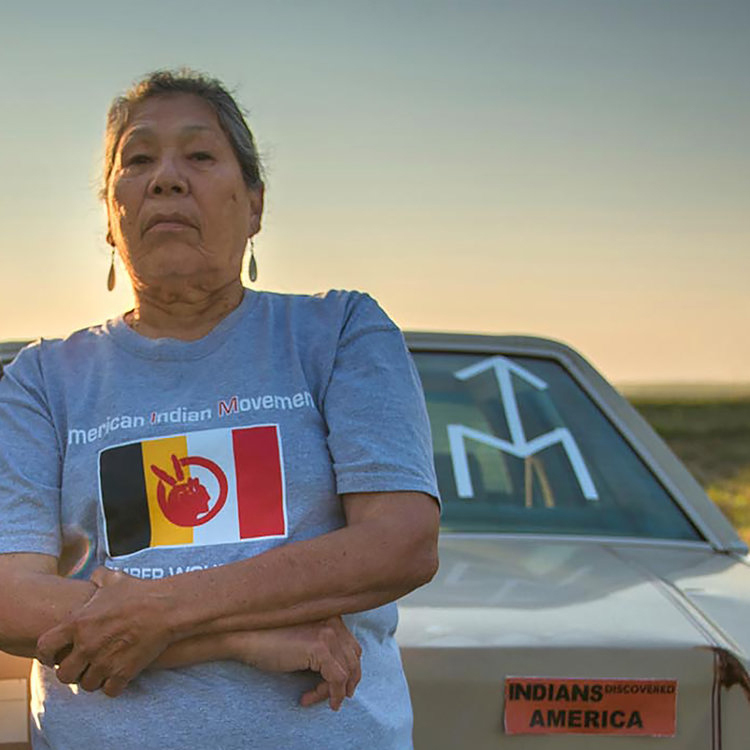 Madonna Thunderhawk is an Oohenumpa Lakota, a veteran of every modern Native occupation from Alcatraz, to Wounded Knee in 1973 and more recently the NODAPL protest at Standing Rock. Born and raised across the Oceti Sakowin homelands, she first became active in the late 1960s as a member and leader in the American Indian Movement and co-founded Women of All Red Nations and the Black Hills Alliance. In 1974, she established the We Will Remember Survival School as act of cultural reclamation for young Native people pushed out of the public schools. An eloquent voice for Native resistance and sovereignty, Thunder Hawk has spoken throughout the United States, Central America, Europe, and the Middle East and served as a delegate to the United Nations in Geneva. In the last three decades at home on Cheyenne River, Thunder Hawk has been implementing the ideals of self-determination into reservation life. She currently works as the tribal liaison for the Lakota People's Law Project in fighting the illegal removal of Native children from tribal nations into the state foster care system. She established the Wasagiya Najin "Grandmothers' Group" on Cheyenne River Reservation to assist in rebuilding kinship networks and supporting the Nation in its efforts to stop the removal of children and build local resources to handle it themselves. © 2018 Dr. Elizabeth A. Castle | The Warrior Women Oral History Project. All rights reserved.